In addition to building top quality, reliable conversions, AMS Vans backs all newly modified wheelchair accessible vehicles with a low price guarantee. 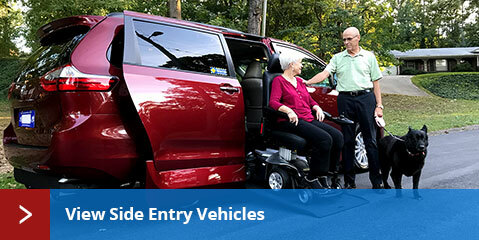 * Any side or rear entry handicap van you purchase from the AMS Vans inventory can be delivered to you in Rancho Cordova, California and nationwide (delivery fees may apply) and includes our white glove service where our mobility professional will go over all the easy to use mobility equipment in your new minivan. Once you&apos;ve had a chance to see your modified handicap van from our inventory in person, if you aren&apos;t 100% satisfied upon delivery, we&apos;ll take it back. Any new or used wheelchair van with a new AMS Vans brand handicap conversion comes with an incredible conversion warranty, 24-hour emergency conversion help line, and nationwide service. 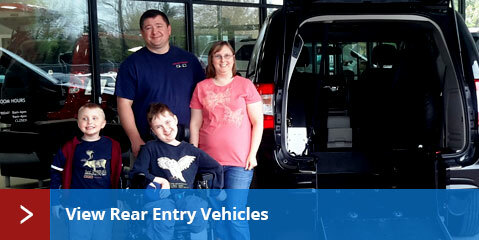 Modify a new or used minivan to be wheelchair accessible. Both new and used Volkswagen, Dodge, Honda, and Chrysler minivans can be modified into an AMS Vans Edge, AMS Vans Edge II Long Channel, or AMS Vans Legend wheelchair accessible van. Upgrade your wheelchair accessible van with mobility equipment add-ons such as transfer seats, hand controls, and much more. New minivans modified with a wheelchair ramp are often available in stock. AMS Vans side or rear entry wheelchair accessible van conversions are available on most models of Chrysler, Honda, Dodge, or Volkswagen minivans. Qualified buyers are often eligible for mobility rebates on new minivans. AMS Vans offers certified pre-owned handicap accessible vans with new and used conversions from AMS Vans as well as used accessible vehicles from Braun, VMI, Rollx and other handicap accessible van manufacturers in Rancho Cordova, California and across the country. To get the most return on your investment, buy a used minivan that will have considerably less depreciation. Since the AMS Vans conversion doesn&apos;t void the manufacturer&apos;s warranty, buying a used mobility van with a new conversion not only has the remainder of the warranty on the minivan, but also has a great conversion warranty. Sell your un-modified minivan or professionally converted handicap minivan direct to AMS Vans for a quick, easy sale at competitive prices. 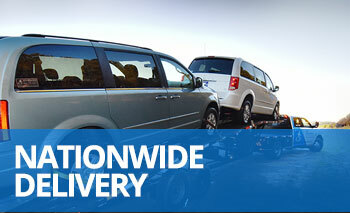 Get a great offer, nationwide pickup, and quick cash through selling a handicap minivan or minivan direct to AMS Vans. Sell your used handicap van by Braun, Rollx, VMI, or other handicap van manufacturers direct to AMS Vans. We receive comments all the time from sellers in Rancho Cordova, California and across the country about how much higher our offers are for used handicap vans from other dealers. Whether you no longer need your AMS Vans brand handicap vehicle or want to trade it in for a newer model, the AMS Vans Buy Back Program gives you some of the largest payouts in Rancho Cordova, CA and nationally in the mobility industry. Used minivans without wheelchair conversions from Dodge, Chrysler, Honda, and Volkswagen from Rancho Cordova, California can be sold direct to AMS Vans. Purchasing un-modified used minivans allows AMS Vans to modify them with a new ramp conversion to sell at a significantly lower price. Using the AMS Vans online mobility classifieds to buy or sell an accessible vehicle in Rancho Cordova, California or nationwide streamlines responses and inquiries to just those interested in accessible transportation. The first month is always free to AMS Vans customers to list your used handicap van in our mobility classifieds when it&apos;s time to sell. Don&apos;t take on the task of selling your used wheelchair van through classified ads alone; AMS Vans will handle the sales process for you from wording your ad correctly to get noticed, to answering questions from potential buyers through our mobility consignment program. At AMS Vans we take a different approach to selling handicap accessible vans by offering high quality, low cost handicap accessible vans direct online and nationwide. 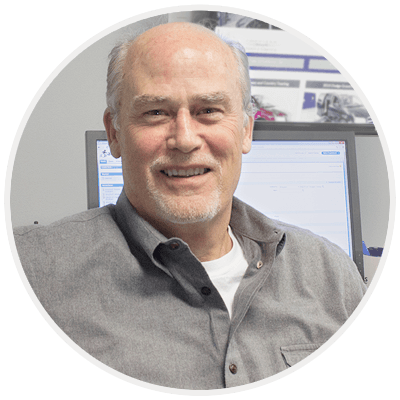 Don’t take our word for it, read through our handicap van customer testimonials to hear how our customers in Rancho Cordova, California and across the country feel about the AMS Vans line of wheelchair accessible vehicles. Previous and current customers of AMS Vans can make money just by referring friends and family to buy their own handicap van; if they mention your name during the sale, we&apos;ll send you $250. Get on the road with a quality, low cost mobility van that is built to last with your safety in mind from AMS Vans.